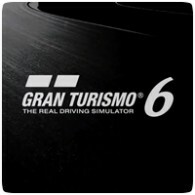 Court documents filed following a court proceeding in America have revealed that Gran Turismo 6 on the PS3 managed to sell just 2.37 million copies. The figures were revealed following a legal battle surrounding the unlicensed appearance of VIRAG branding in Gran Turismo’s replication of the Monza track in Italy, featured in both GT5 and GT6. In comparison GT6 sold far less copies than it’s predecessor, GT5, which racked up over 10.89 million copies sold. However, when comparing it to similar games, the game still sold more copies than PS4 exclusive DRIVECLUB, Xbox One exclusive Forza Motorsport 5 and potentially even cross-platform game Project CARS.